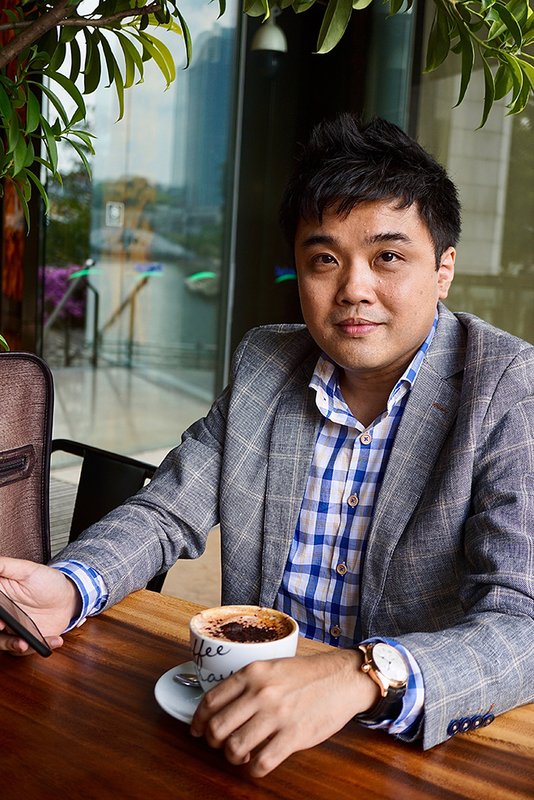 With his IG handle @horobromance, referring to the loving nature of the horological fraternity in a “bro-romantic” way, Vincent Ng is one of Singapore’s better-known watch collectors. When the ex-banker, whose second nature is investing, found a way to join both passions, you can bet your last dollar he is forging ahead in pioneering this new, never-thought-possible, asset class – watch investments. 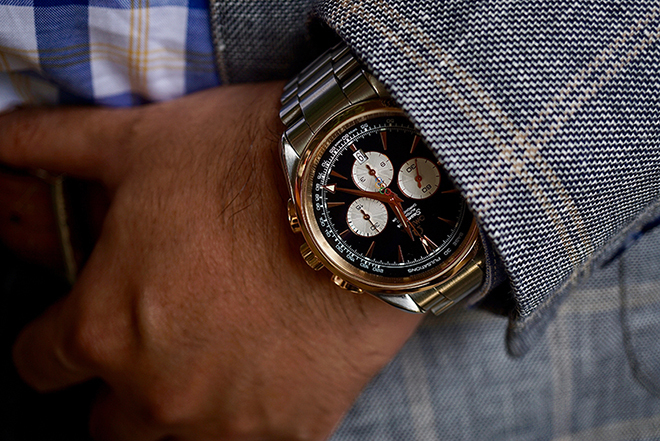 What was your first encounter with watches? It was an Alain Silberstein that I bought when I was a young boy, at 13 or so. 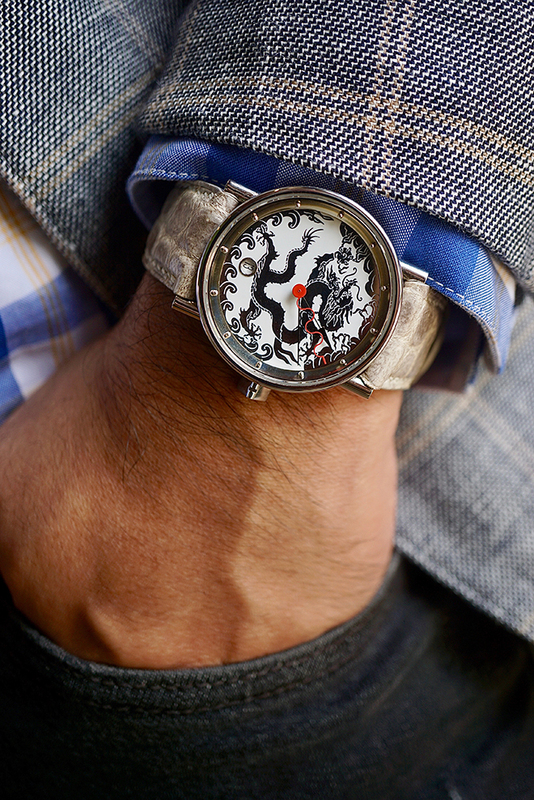 It had three hands and a mirror-finished dial. At that point in time, I wasn’t even sure of the brand, and it was only fairly recently that it occurred to me what I had acquired. Most of my peers at the time were wearing Casio G-Shocks. What drew me to it were the three colour hands, and I had never seen a mirror-finished dial. By the time I got my next watch, it was a blue dial TAG Heuer Kirium. My first serious mechanical watch was a Rolex “Kermit”, which I bought while on my honeymoon in September 2008. I sold it for less than retail, so I’m still banging my head about that. Wait, I’m sure that before you put serious money down for a Rolex, you must have researched it? No. The sales lady convinced me that it was the watch to own. 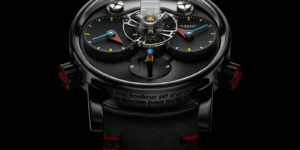 I actually traded it in and topped up $12,000 for the 2009 Audemars Piguet “Volcano” (Royal Oak Offshore Chronograph). Well, I love loud watches, and this was the last piece with the retailer. Since it was going to be out of production the next year, the sales lady encouraged me to get it. You have a finance background. 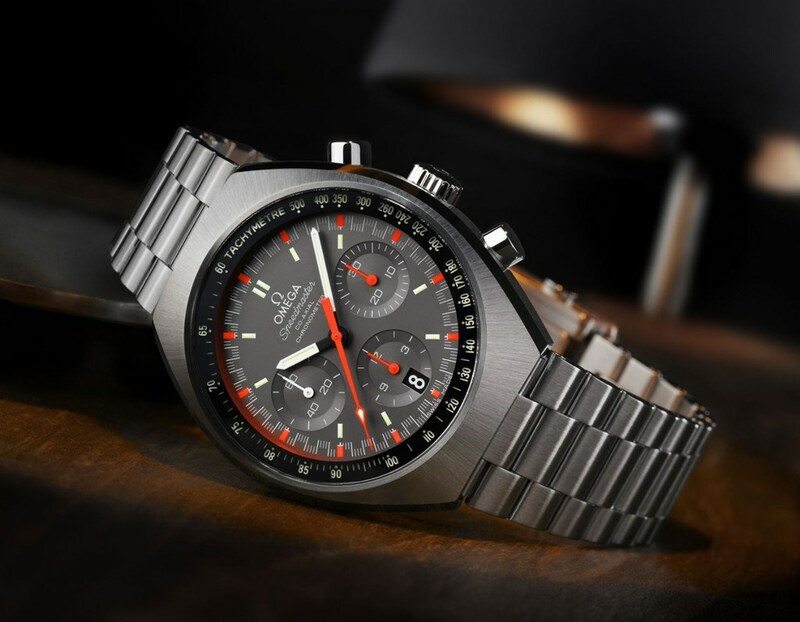 In 2008, you didn’t know much about timepieces, so the “watch investment” or “pre-owned” value hadn’t entered your list of criteria for a watch yet. When did you start paying attention to it? Honestly, it never really mattered. Half my watches are brand new; the other half are pre-owned. I wasn’t buying to make money. I was buying to grow my collection. 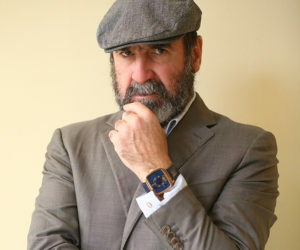 Is there a watch you would not bear to part with? 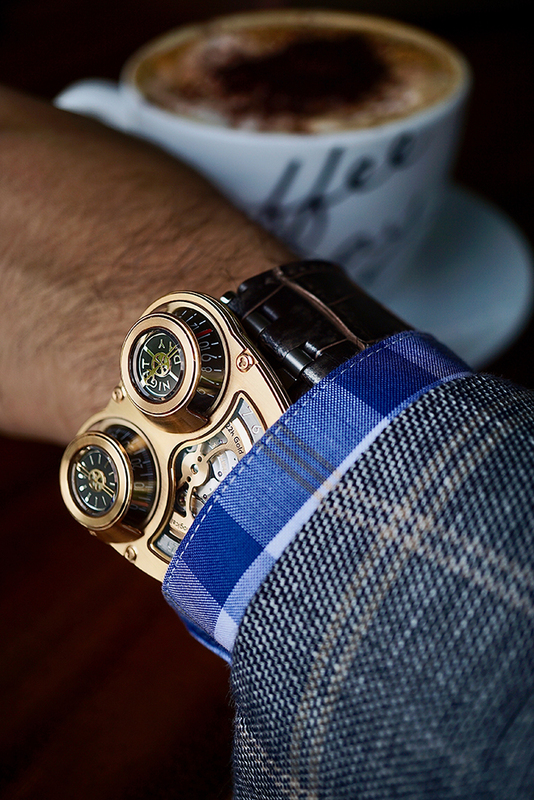 Something like the MB&F HM3 is what I’d never part with even though I hardly wear it because it brings me a lot of pleasure and compliments when I do. 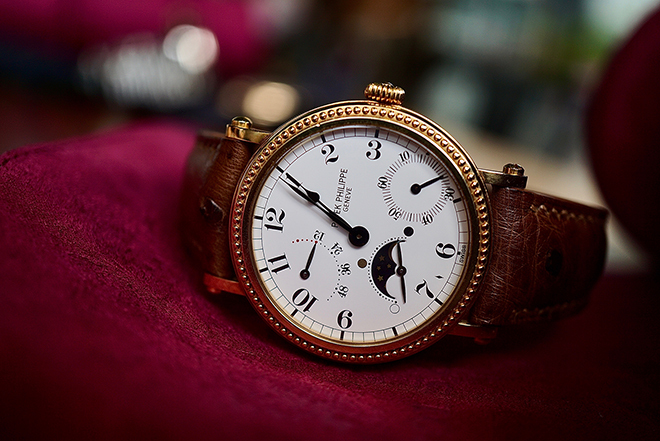 35 mm Patek Philippe Ref 5015 with power reserve and moonphase. 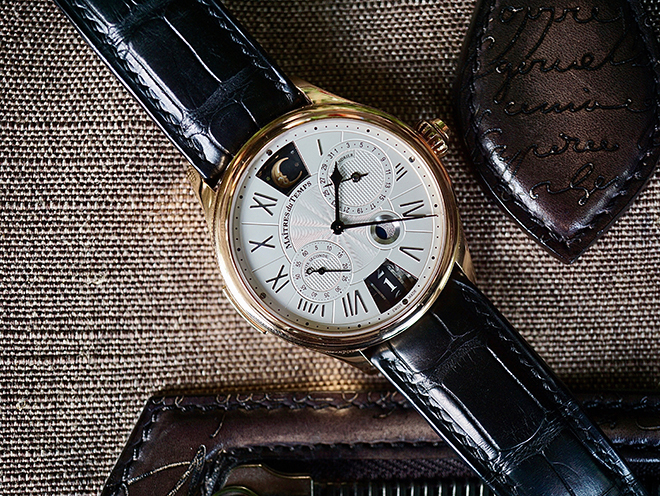 One of the high calibre timepieces in Vincent Ng’s aka @horobromance’s collection. Production of started in 1994 and ceased in 1999, the subsequent lack of supply has raised the resale value for this vintage reference. People say “time is money”. Does this correlate to real life? But it cannot become a traditional asset class correct? Is there such a thing as watch investments? You could if you buy the correct pieces. 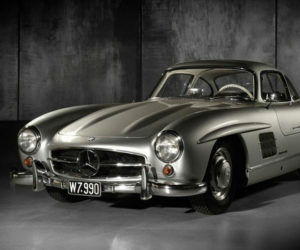 There are waiting lists, and those are pretty good indicators of how well the piece could accrue value. Rolex has strong brand equity and broad-spectrum desirability. 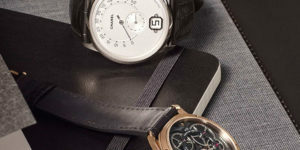 Patek has long queues, seven years to infinite waitlist for certain pieces. Definitely not the majority of watches out there. That said, there are quite a good number that, if I could get at retail, I would buy and hold on to them like a stock because it would definitely grow in value when a variant of the next model arrives. There’s literally not much to worry about it if you get the correct, popular models. In this respect, it’s like stocks; no one can really get it on the real lows and sell on the highs; you merely buy on the way up. Holding power is important, and you make money from people willing to pay more after enough time has passed. That said, market demand is important. 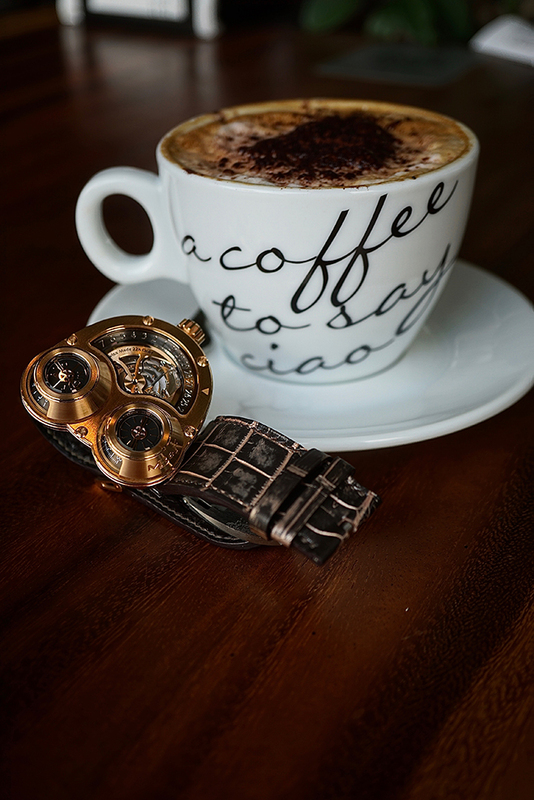 You can make 10 per cent, or you can hold it for longer, then you can realise returns of 20 to 30 per cent for specific timepieces. Since I am running an investment firm (Dektos Investment Corporation), I thought, what better way to enjoy my hobby as a hobby and sound investment, and pool our resources in a fund. 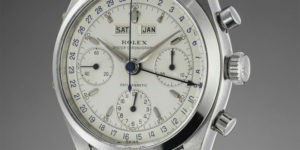 It’s the fun of watch acquisition with financial returns backed by proper audits and diligence.